Heavy Planet : ARE YOU IN A DOOM, STONER, SLUDGE, OR HEAVY PSYCHEDELIC BAND? ARE YOU IN A DOOM, STONER, SLUDGE, OR HEAVY PSYCHEDELIC BAND? Are you looking for some extra exposure for your band? Heavy Planet has been helping to promote Stoner, Doom, Sludge, and Heavy Psychedelic bands since early 2008. 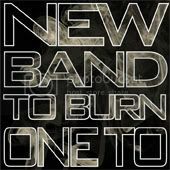 Our feature "New Band To Burn One To" has exposed the world to nearly 400 bands. You may recognize some of these band names: Black Pyramid, The Atlas Moth, Threefold Law, Venomin James, Switchblade Jesus, Grifter, Shroud Eater, etc. Is your band the next "New Band To Burn One To"? Submit your band to Heavy Planet NOW!